We are a complete laptop repair and service company based in Central London specializing in HP G Notebook repair services. It’s better to get in touch with Creative IT for all your HP G Notebook repair services. We employ only industry certified engineers and technicians who have passed our skill requirements. We work hard to make the experience of HP G Notebook repair easier on the client, offering full customer support after the job is done. We use quality replacement parts in all our HP G Notebook repairs. We don’t settle for second best and we wouldn’t expect our clients to either. We take pleasure to deliver our services for clients ranging from individual users to corporate firms in various cities of London. Creative IT provides expert repair solutions for HP G laptop motherboard, keyboard, LCD screen, batteries, backlight, and connectors at affordable rates. Leave your HP G laptop with us for offsite repair at our workstation in Central London. You can count on us to have perfect and quick HP G Notebook repair and replacement services. 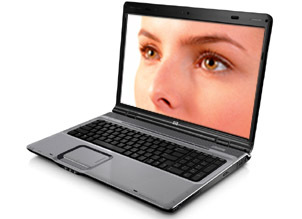 Our laptop engineers and technicians are proficient. Creative IT also provides onsite HP G Notebook repair whenever you are in an emergency situation. Just a call is enough for an immediate response. Our onsite HP G laptop repair charges vary depending on your location and severity of faults. Our technicians are qualified to solve problems of laptops working in different IT platforms whether it is UNIX, LINUX, Novell, or Windows. They also utilize well equipped lab facilities for performance oriented HP G Notebook repair service. As part of our HP G Notebook repair you can also avail other services such as HP G laptop upgrades, virus removal, HP G laptop data recovery, parts replacement, and software installation. Creative IT takes comparatively low service charge for HP G Notebook repair which nobody in this field can replicate. You can have a maintenance contract with us for long running of your system and for peace of your mind. Our customer service representatives are keen to speak with clients for clearing their doubts about HP G Notebook repair and other related services in London, UK. You can contact us over phone at 020 7237 6805 or send an email at info@creativeit.tv .